My pieces are all hand crafted, using recycled metals. 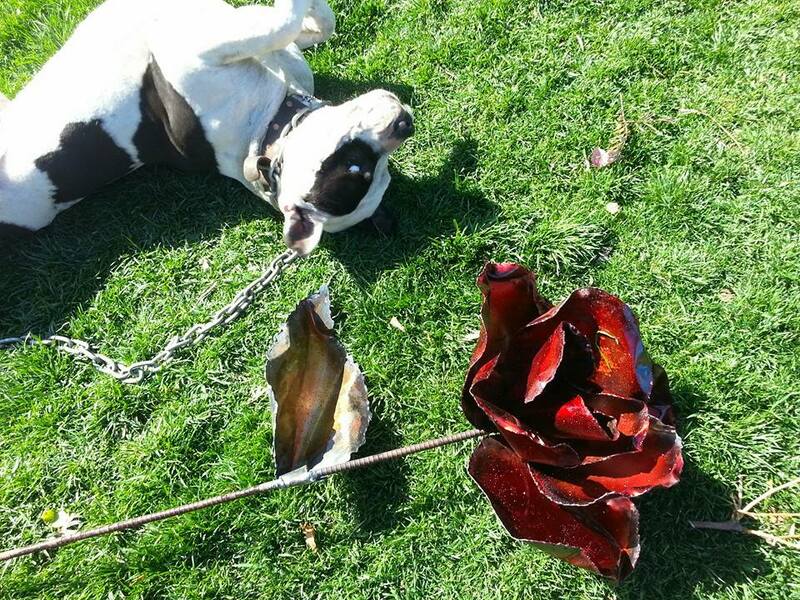 For example my small roses and poppies are made from wire coat hangers and old water heaters. I skin the outside sheet metal off the water heater tanks that have gone bad. Chalk out the flower design onto the metal. The chalk will with stand 1800 deg. temperature and will not burn as Im working. I cut each pedal by hand using a Oxy-Acetylene cutting torch, to achieve an organic feel to the flower. I hand shape each of the flowers with a hammer and my grandfathers anvil. 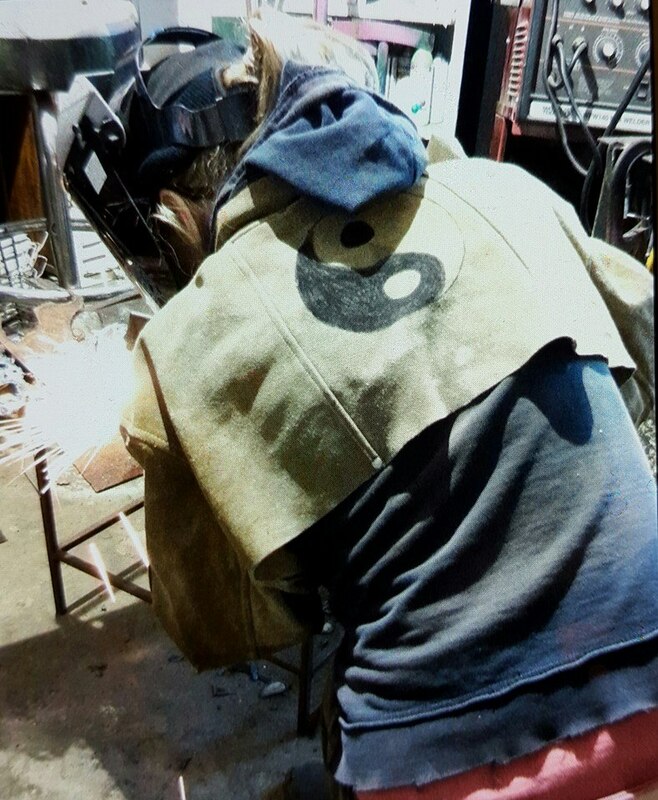 Then weld the coat hanger stem on the flower with Oxy-Acetylene welding torch. Most of my pieces I leave the natural patina but some of the flowers I stain, lacquer or enamel. The Giant flowers are created the same but the flower is made from a fifty five gallon metal drums and the stem from old rebar.